Each year, the PRSSA National Assembly gathers to make influential, long-term decisions about the future of the Society, elect a new National Committee and review the bylaws. In addition, those who attend engage in leadership training and networking. 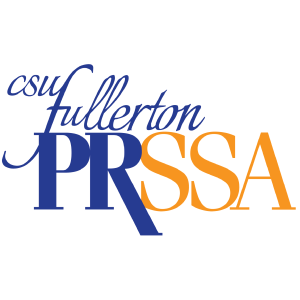 California State University, Fullerton sends one official delegate to vote on bylaw changes and elect the next National Committee. All other chapter members and affiliates are invited to attend as non-delegates to join in the leadership training sessions, networking and fun. Our chapter sends the youngest executive board member as the delegate. All other board members and chapter members are welcome to go as non-delegates. Official delegates will vote on proposed bylaw amendments and elect the National Committee. All attendees may attend leadership training sessions, Assembly meetings and socials. Assembly leadership sessions are a series of interactive workshops that aim to increase your awareness of PRSSA’s national programs and enhance your leadership skills. The sessions provide local- and national-level leadership training, forge a stronger relationship between your Chapter and the National Committee and build your knowledge of national PRSSA benefits. The Day-of Competition provides you the opportunity to create a “real-world” public relations campaign for a major client. The challenge? You have just one hour to plan. At National Assembly, you may run for positions on the National Committee. Candidates may be an official delegate or non-delegate. If you are considering running for a National office, contact the current committee member with questions and read the current PRSSA Situation Analysis, which provides an overview of the Society’s history, past research, timelines and explanations of the National Committee responsibilities and programs. Check back in January for the updated Situation Analysis. The Candidate Nomination Form is available online. Please note there is a separate election process for Publications Editor in Chief. The National Assembly is a key leadership and learning opportunity for your Chapter members, so consider sending a delegate and other Chapter representatives.